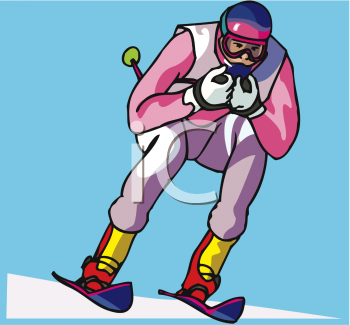 Sports-minded or not, you'd need to be burrowed away with our infamous February groundhogs to not know the 2014 winter Olympics are underway in Sochi, Russia. When it comes to sports fans, I fall somewhere between Woo-hoo! and whatever. I'm Canadian. I grew up watching hockey in arenas and in front of the television, following the good old (and indeed they were good back then) Maple Leafs on Saturday nights. The summers of my youth were full of pick-up baseball games with neighbourhood kids and sitting in the stands watching the local men's league. The glory days of the Blue Jays seasons I spent avidly glued to the tube to catch a glimpse of an Alomar steal or a Carter homer. Yet, while I don't mind watching sports now, I also don't usually care if I don't watch. Until the Olympics. Especially the ones played in the most Canuck of seasons when snow beckons boards and skis to slopes, when blades hit the ice for competitors to dance and shoot. From the dizzying flips of moguls to the speed and brawn of hockey it's exhilarating fun, made more exciting by national pride. Card companies love Valentine's Day. Stores display a bevy of loving messages, sentimental, romantic or humorous, ensuring there is a right one for the persona who holds a special place in your heart. While you might think that conveying your feelings of amour for a life partner should be polished and professional in style, it can often be the tiny touches that mean the most. And for parents taking advantage of Feb. 14 to reiterate their devotion to their children, there are often better options than traditional cards. Likewise, kids enjoy projects, and considering their often limited budget, making a gift for Mom and Dad is most assuredly the way to go. I remember sitting in my elementary class, cutting and pasting the shapes I wanted to use on my special craft. These days, however, online images offer a variety of beautiful content to help even youngsters achieve a polished look. With that resource the next thought is a unique idea on which to use them. In conducting a search for ideas I came up with a number of possibilities. Choose what you like, print them on sheets of paper, then attach them to enough string or ribbon to hang them in a suitable place. 2. Fill some small clear packets with potpourri, soap, bath salts or candies. 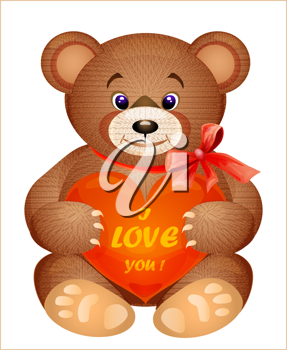 Select a nice image, perhaps something like iCLIPART.com Teddy Bear Valentine to print on a tag which can then be used to seal the package. 3. For the book lover, here are step-by-step instructions from Martha Stewart's website to create a bookmark using clipart: Martha Stewart's Valentine's Day Bookmark . 4. Mugs are the perfect starting item to create a special one-of-a-kind gift. Purchase a plain dollar store mug, print letters or select a font or image from a site such as iCLIPART.com , Acclaim Images or iPHOTOS.com and glue them to the mug. This website explains how: ask.com How to Print on Mugs. Finally, fill the mug with candy hearts or kisses. 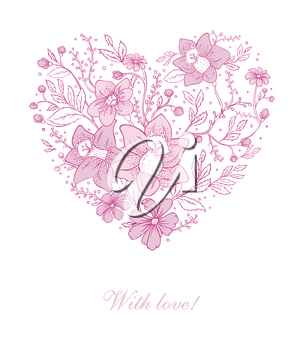 Valentine's Day is on its way and no matter what you are creating to commemorate the occasion, from promotional materials to cards, it's pretty much a given that a heart will be featured somewhere. For those doing the designing, whether working on a commercial or personal project, it's quite probable that a heart will actually be the starting point. There is probably no other symbol that speaks of love and romance more than a heart. Whether shot by Cupid's arrow or split in two, this ideograph metaphorically conveys the emotions of affection, infatuation, and heartbreak. While it's the simple heart, used first in the 1500s as an expression of romantic love, that is most familiar, the talent of designers and artists have provided a bevy of beautiful alternatives. They all evoke the message of love in ways that suit the diversity of today's modern culture. So, when you've got to have a heart, take one. There are many wonderful illustrations from which to choose. 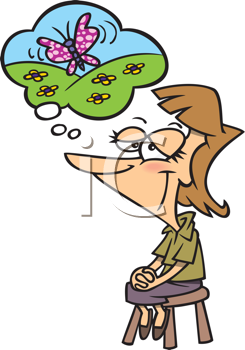 Here's a random sampling from iCLIPART.com — no people, no animals, no cute little extras. Just the starting point for your romantic project. I believe it was Mark Twain who said, "The more I know about people, the better I like my dog." Most dog lovers would agree. 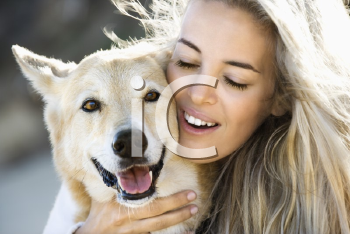 Our canine friends, in general, are among the most loving and loyal of pets. They have an instinct for knowing when you need them and can be affectionate beyond measure. They are faithful, devoted, intelligent and often a great source of entertainment. My husband and I both grew up with a dog as a pet. Thus, when we began our life together it only made sense that we welcome another pooch to the family. When Buffy passed away at the good age of 14 while walking down the road to get a pork chop from our neighbour, there was a brief hiatus before we realized that our house wasn't a home without a dog. Enter Ani, my wonderful Siberian husky cross, a feisty bundle of nervous energy who adored me as much as I did her. For over a decade we benefited from her company and friendship without a blip as she enjoyed robust health. Then just before her 12th birthday she was diagnosed as being in the last stages of a terminal cancer. A credit to the disposition of animals is how they suffer in silence and Ani was no exception. She had obviously been not well for a long time without giving us any indication. It has been three years since we said goodbye, one of the hardest things I've had to do. So much so, that while my firm belief still is that a house is not a home without a pet, my heart, as yet, won't let me get another. At this point, it's not having a dog I miss; it's not having Ani that's the problem. What's nice is that rarely do I make these remarks to a person and get rolling eyes or deriding snorts. Most people at some point in life have had a pet and understand the bond that humans form with their animals is important to them. While even I might think that some people take it too far, pampered pups more children than canines, for example, I would never suggest that the hurt their loss causes isn't justified. A true pet is never "just a pet."